One reason lots of people get a fence for their yard is to prevent deer from coming in and eating their trees, bushes, or gardens. There are a number of fences that can accomplish this goal. Learn everything you need to know about deer and fences in this week’s blog. Deer can jump very high. How high? Amazingly, up to 15 feet. Fortunately, you don’t have to build a fence this high to keep deer out. Why? There are several reasons. First, deer would rather go around or through a fence then jump it. Jumping over a 6 ft high fence means a landing that might not be that soft. Second, deer can’t always see where the top of the fence is, and they’re not going to jump on a guess. This is because deer see colors in the yellow, dark blue, and UV spectrum best. Deer fencing doesn’t reflect these wavelengths well, so the deer can’t always make out the boundaries of the fence. Deer also don’t have good depth perception because their eyes are on the sides of their heads. This is good for keeping an eye on predators, but doesn’t help their depth perception. These factors combined mean you don’t have to build a 15 foot high fence to keep deer out. A 6 foot fence is plenty to deter deer from jumping. Deer fencing is usually made of polypropylene plastic or PVC coated metal. PVC coated metal fences are more expensive, but are more durable and are overall better at keeping deer out. One of the ways deer can get through a plastic fence is if another smaller animal makes a small hole in it. The deer can tear the hole open wider allowing it to get through. If a deer runs fast enough, it might even be able to break right through the plastic fence. 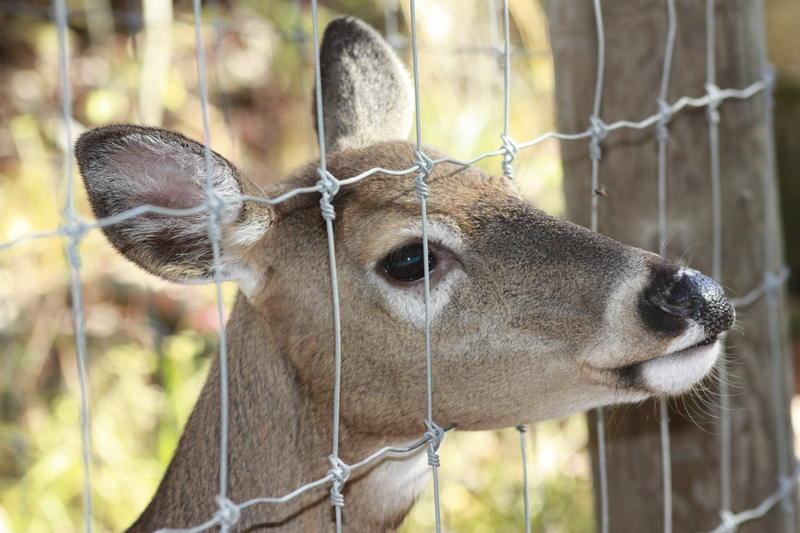 Vinyl coated chain link fencing prevents deer from breaking through a fence, and can easily be constructed tall enough to deter jumping. Are you interested in learning more about chain link fencing for keeping out deer in Richmond? We can help you choose the right fence for your needs. Hercules Fence of Richmond has been providing professional fence installation and service in Richmond for more than 50 years. Call us at (804)752-7992 or contact us on our website to learn more about residential and commercial fencing in Richmond. This entry was posted on Friday, February 27th, 2015 at 8:34 pm. Both comments and pings are currently closed.